Leading Manufacturer of industrial blower from Vadodara. 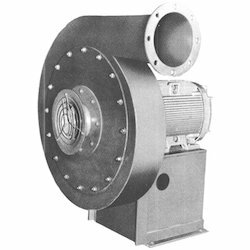 We are instrumental in manufacturing and supplying high quality Industrial Blower. Our products are designed under the skilled guidance of experienced and technically qualified engineers, who watch out each and every process to avoid any hassle in work place. Offered products are widely appreciated for their rigid construction, work efficiency and durability. We offer these products in various technical specifications to our valuable clients. Furthermore, we also offer customization facility to our precious clients.